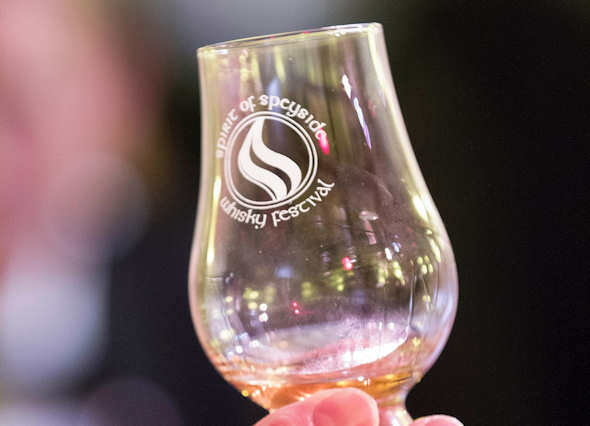 Visitors to next month’s Spirit of Speyside Whisky Festival have been granted a highly coveted seat on the panel that will determine the winners of the 2014 event’s whisky awards. Each and every festival goer will have the chance to cast their vote at a roving judging roadshow which will tour the region in the run-up to and during the Festival. The finalists have already been whittled down to just eight drams by a panel of industry leaders, acclaimed writers and specialist retailers but the overall result will now be determined entirely by visitors. The Spirit of Speyside Whisky Festival Whisky Awards is the only awards scheme in the world where the winners are voted for by the public. There will be 10 separate judging sessions across Speyside, and visitors will be able to sample a 10ml measure of each of the eight single malts for a ticket price of just £10. After each of the four rounds of blind tasting, participants will be asked to vote for their favourite. The Ben Riach 12-year-old Sherry Matured and Knockando12-year-old will go head to head in the 12-year-old and under category, while the Balvenie 15-year-old and the Singleton of Dufftown 18-year-old will compete in the section for malts aged 13 to 20 years. In the 21-year-old and over category, the finalists are Glenfarclas 30-year-old and Cardhu 21-year-old, while in the section for distillery special editions Tamdhu 10-year-old will go up against the Glenfarclas 25 years old single cask bottling: Glenfarclas 1988 Cask 4966. The awards are sponsored by coppersmiths Forsyths of Rothes – the company responsible for building many of the pot stills in which the shortlisted single malts were distilled. Penny Ellis, a director of the Spirit of Speyside Whisky Festival who also organises the awards, says, “By exposing the eight finalists to a blind taste test, we are giving each malt the fairest trial. “Festival visitors flock from all over the world to join us and because of this we end up with a unique and experienced judging panel with an extremely varied palette. “I cannot think of a higher accolade for a malt whisky than to receive the seal of approval from the whisky-drinking public and I know that the distilleries with entries in the final will regard it as a real honour to win. The roving judging sessions take place at Ugie House Hotel, Keith on April 25; Glenfiddich Distillery, Dufftown on April 30; The Drouthy Cobbler, Elgin on May 1; Aberlour Hotel, Aberlour, Richmond Memorial Hall, Tomintoul and Macdonald Aviemore Highland Resort on May 2; Stuart Arms, Dufftown and Rothes Social Club on May 3; and Forsyths Coppersmiths, Rothes on May 4. The final judging session and awards prize-giving will take place – along with a ceilidh – at Glen Grant Distillery in Rothes on May 4. The judging takes place from 6pm, with the dancing getting underway ay .30pm. The music will be provided by the Spirit of Speyside Allstar Ceilidh Band, and tickets cost £20. The Spirit of Speyside Whisky Festival, which is now in its 15th year, takes place at venues across the region, which is widely regarded as the spiritual home of the Scotch whisky industry. A signature event for Homecoming 2014, it will start Whisky Month – a four week national celebration of Scotland’s world class food and drink. It will also launch a brand new event this year – The Spirit of Speyside Sessions – which aims to put to spotlight on the area’s traditional music heritage with concerts and ceilidhs being staged in venues closely linked to the whisky industry. 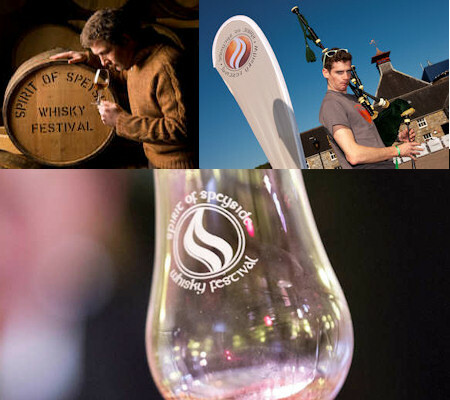 Tickets for all events in the 2014 Spirit of Speyside Whisky Festival programme, including the roving judging sessions, can be bought via the website – www.spiritofspeyside.com The Festival is also active on social media –facebook.com/WhiskyFestival and @spirit_speyside on Twitter. New Whisky Release: Glengoyne Highland Single Malt Scotch Whisky has announced the much-anticipated launch of Cask Strength Batch No. 007. Order Glenmorangie Grand Vintage 1991: fourth limited-edition release within the celebrated Bond House No.1 collection.